This is a 55+ community. Land is leased. One title holder must be 55 or older. 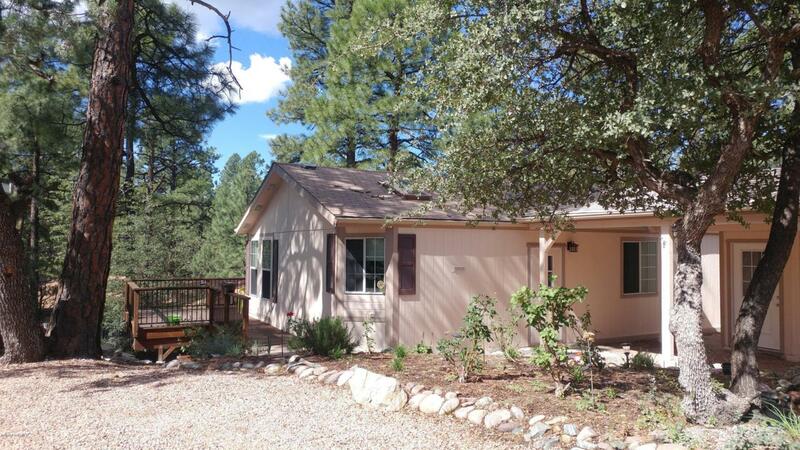 This home is back to back with the Prescott National Forest near the end of a cup-de-sac. Amenities include pool, spa, clubhouse, tennis court, billiard room, workout room, community kitchen and meeting room, 2 lakes, dog park, miles of hiking trails and nature trails nearby. Lot rent of$865/month includes access to all amenities. Listing provided courtesy of Steven Irwin of Arizona Prime Real Estate.